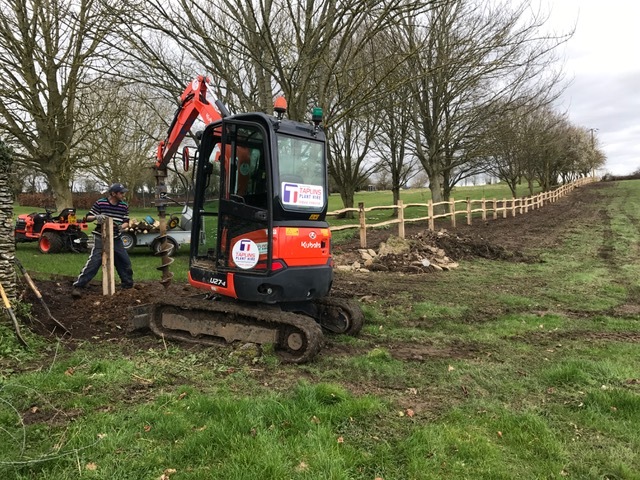 Charles came to us to supply him some 2 rail chestnut post and rail for a job in Southrop. We were really pleased he chose to let us supply him in Gloucestershire. And even more so when he sent us some great feedback on how the finished job went. 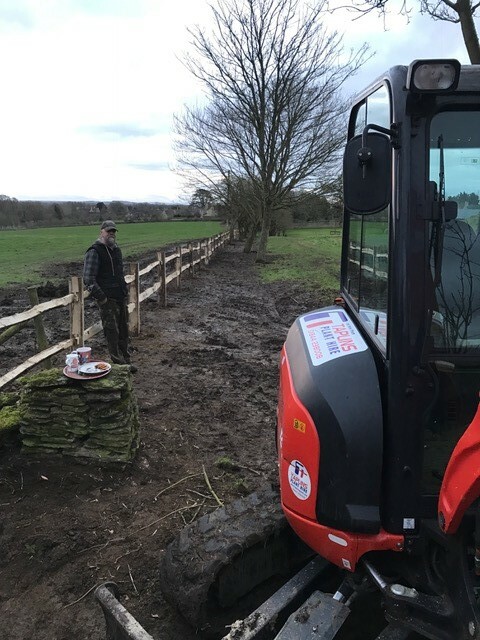 The fencing was delivered neatly on pallets on the scheduled date by a very friendly and efficient driver. 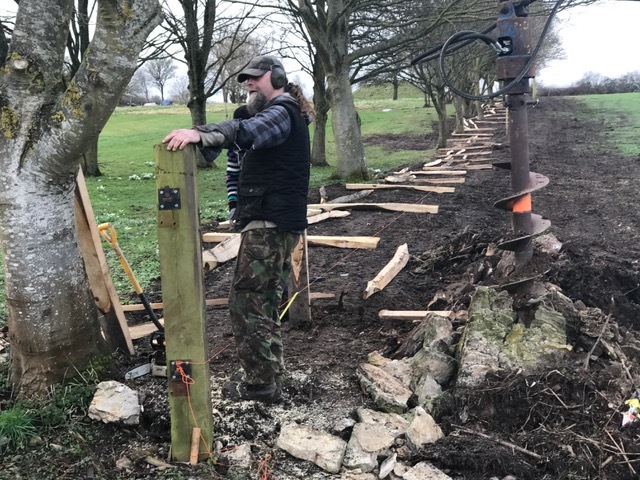 Although we had a few holes that ran into Cotswold stone rubble under foot, most of it was pretty straight forward with about 18 inches of top soil over clay so, relatively easy hole boring to a depth of 30 inches. The timber was well prepared and we only had to “fiddle” with a couple of posts. We completed the job in about 4 days and have a robust and attractive fence which will look even better with weathering. 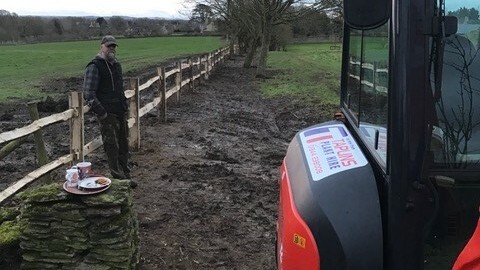 As you can see from the picture, it wasn’t great weather when we did the job (that’s my groundsman in the picture and a hired 3 tonne Kuboto digger) but its now been sown so should green up quickly. Great service and well worth getting it all the way from Sussex.